Great news for downtown employees and urban core residents! Starting this Wednesday a mobile grocery store will be at The Court Urban Food Park selling affordable and healthy foods for downtown employees and urban core residents. 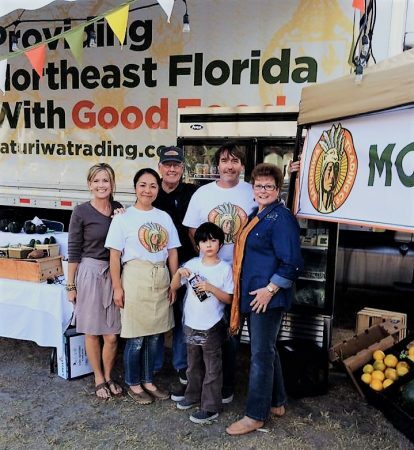 The mobile grocery store is called Saturiwa Trading Company and will sell products alongside food trucks at The Court Urban Food Park every Wednesday from 11am-2pm. This is huge for those of us who find ourselves downtown during the day, unable to run any errands during lunch due to the virtual food desert. Tagged farm-to-table, Food Truck, groceries, grocery, local, vegan, vegetarian. Bookmark the permalink.